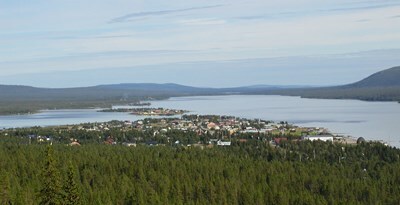 Jukkasjärvi is a locality situated in Kiruna Municipality, Norrbotten County, Sweden with 548 inhabitants in 2010. It is situated at 321 meters elevation. The name is of Northern Sami origin, where Čohkkirasjávri means lake of assembly, as the area by the lake by which the village was founded was a Sami marketplace. This description uses material from the Wikipedia article on Jukkasjärvi and is licensed under the Creative Commons Attribution-ShareAlike License (view authors).